We are proud to be illustrate in the Israel21C.org news on 2nd Feb, 2017. Israeli maker of GlucoTrack believes its noninvasive meter will encourage people with Type 2 diabetes to check glucose levels more often. People with diabetes and impaired glucose tolerance are advised to spot-check their blood-glucose levels several times daily to reduce the risk of serious complications. That’s a lot of finger-pricking, considering that about 700 million people fall into one of those categories. 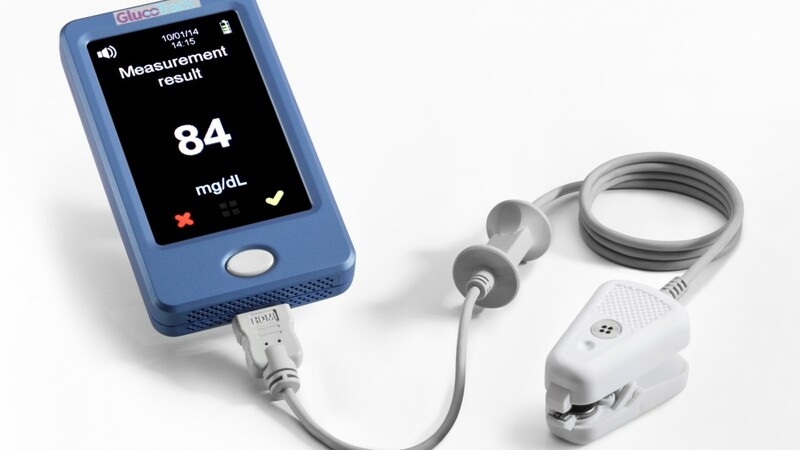 The Israeli company Integrity Applications put more than a decade into developing GlucoTrack, described as the first truly noninvasive system for self-monitoring glucose levels. Instead of drawing blood, you clip the GlucoTrack sensor to your earlobe. A patented combination of ultrasonic, electromagnetic and thermal technologies works with a proprietary algorithm to measure physiological parameters correlated with glucose level. Results are displayed within about a minute on a USB-connected handheld control unit, which also stores and compares previous readings. The number is announced verbally, facilitating use by elderly and vision-impaired people with diabetes or pre-diabetes. Sales in parts of Europe, South America, Australia and New Zealand began in 2016, after the newest version of the device won regulatory approval in Europe and in South Korea. Integrity is soon beginning clinical trials of GlucoTrack Model DF-F in the United States required for US Food and Drug Administration (FDA) approval, and is working toward approval in China. The “DF” stands for David Freger, the late Israeli physicist who envisioned a novel noninvasive glucose monitor. His colleagues Avner Gal and David Malka helped him turn it into reality. “David passed away from diabetes complications at age 48 in 2004, and we called our device models DF to memorialize him,” Gal tells ISRAEL21c. The trio’s research revealed several attempts to invent a noninvasive blood-glucose monitor using optical technology. They concluded that this wasn’t feasible. “Noninvasive glucose level is an indirect measurement and there is a lot of noise inside the body that contributes to inaccuracy,” Gal explains. The device, tested on more than 800 people prior to commercialization, is intended for indoor use because readings are affected by wind and temperatures beyond a range of 15 to 35 degrees Celsius. The device will inform the user if it’s out of temperature limits. Before using, GlucoTrack must be calibrated via three finger-pricks over the course of 30 minutes. 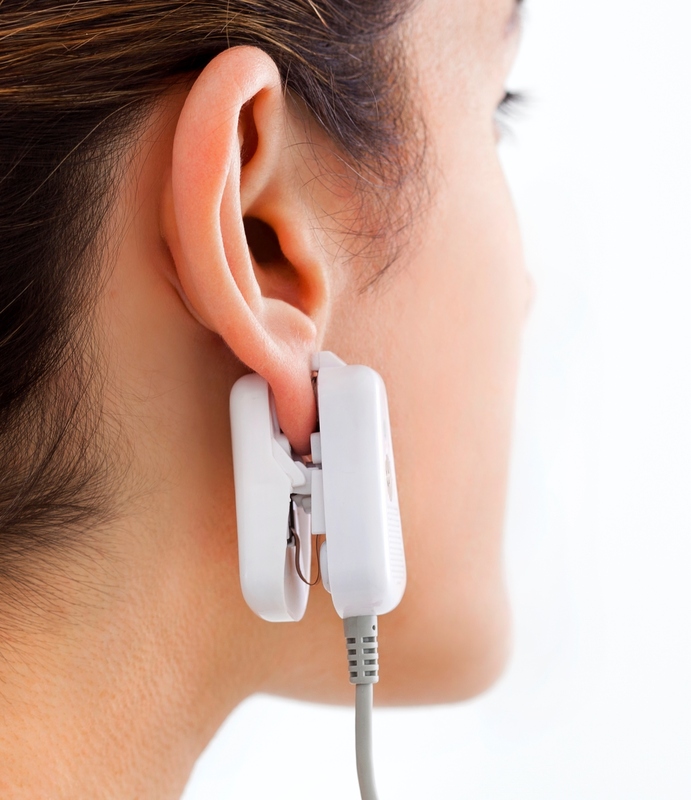 Each ear clip lasts six months, meaning only six blood draws per year are required. Many other companies are developing noninvasive glucometers, from a tiny insert on the surface of the eye to a skin patch embedded with electronic sensors. 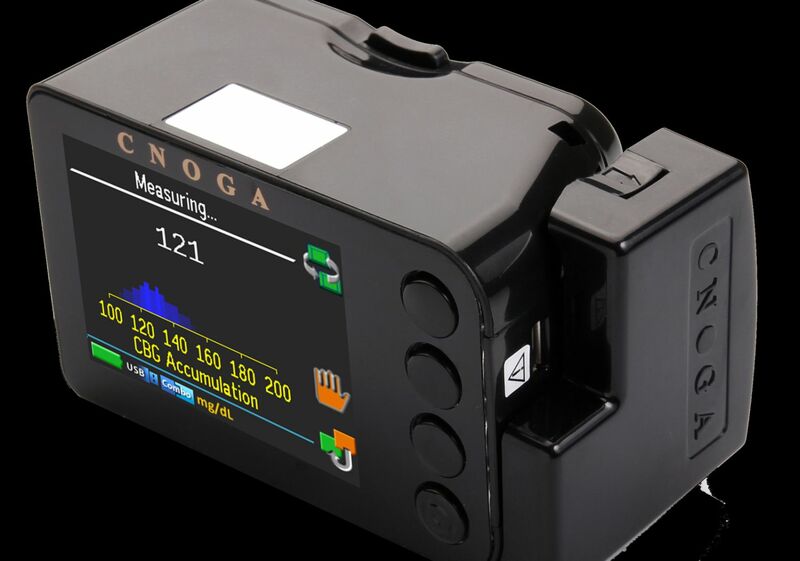 The TensorTip Combo (COG) glucometer made by Israeli noninvasive monitoring device manufacturer Cnoga Medical is certified in Israel and Europe, and soon in Brazil and China, for ages 18 and up. The user inserts a finger into the rechargeable device. Before first use, it requires calibration involving 50 to 100 reading cycles with two invasive readings during each cycle. GlucoTrack DF-F is intended for adults over the age of 18 with Type 2 diabetes or pre-diabetes. Gal says a model for children and people with Type 1 diabetes is in development. “The higher and faster fluctuations of glucose levels in Type 1 make it harder to track,” he explains. Gal predicts that the simplicity of the pain-free device will encourage people with Type 2 diabetes to check glucose levels more often. The device costs $2,000 and each ear clip costs $120. Gal estimates that over five years, people using GlucoTrack can anticipate saving significantly over the cost of five daily invasive measurements using test strips. The publicly traded Integrity Applications has 36 employees in Ashdod and seven in Europe. Its potential market is growing fast; according to research firm Visiongain, the global market for self-monitoring blood-glucose devices was $9.7 billion in 2011 and is forecast to reach $27.4 billion by 2022. China, the United States and Europe are the main target markets. Integrity is working on additional GlucoTrack models including devices for developing countries, nighttime and continuous monitoring of glucose levels and an alert device for drivers. A wireless model compatible with the current device also is under development.